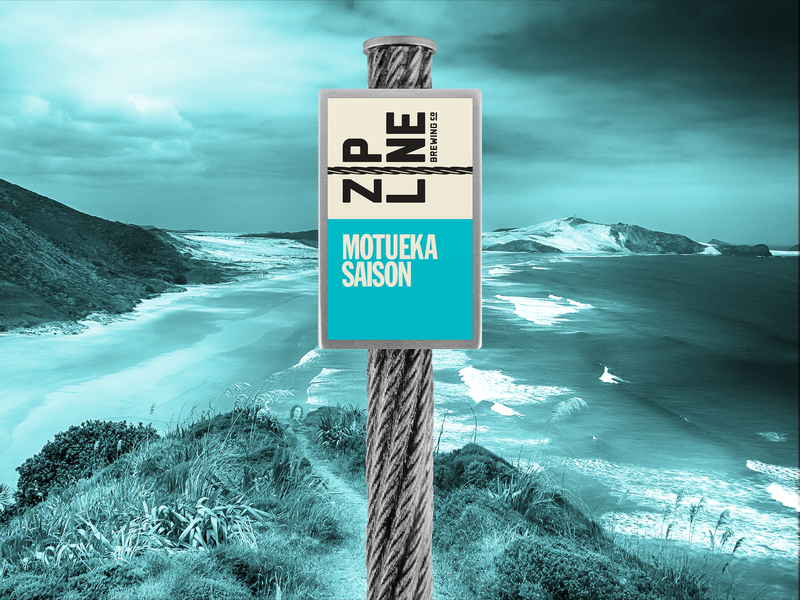 Motueka Saison - Zipline Brewing Co.
Straddling the line of traditional and innovative, Motueka Saison is an old-school brew showcasing new-school hops. The brain-child of Assistant Brewer Keith Gascoigne, this ale stays true to historical saison styles as a sessionable beer created to enjoy in succession after a hard day’s work in the dog days of summer. The addition of Motueka (pronounced “moh-two-ECK-uh”) hops brings this saison into the modern era. Hailing from New Zealand, this specialty cultivar is a derivation of the Bohemian Saaz hop variety. Borrowing the clean, spicy finish of its parent, Motueka takes hop aroma to a whole new level of juicy, adding rich nectar fruits to its initial lime-citrus punch. Terroir, the phenomenon that brings the complex factors of geography into an agricultural product, is usually understated in brewing. When it comes to hops, however, terroir is right under your nose. We’ve experimented with New Zealand hops before, brewing both big and small batches with these aromatic cones. Part of the success of these varieties can be attributed to New Zealand’s geographic isolation. The relative lack of agricultural pests that harry hop production Stateside allows hop breeders to focus their efforts on creating cultivars with exquisite brewing qualities rather than addressing pest- and disease-resistance. Though Keith considers this recipe his “petite” version– he’s homebrewed many variations of this ale, most with high ABV– this is the first time he’s scaled the recipe to share with Zipline customers near and far. Light on alcohol, Motueka Saison is huge on aroma, satisfying hop heads without overwhelming more cautious craft beer drinkers. Releasing in the taproom this Friday, July 29, Motueka Saison perfectly answers the latest summer heat wave. Stop in for a pint or two of this session ale and toast to a weekend well-begun.